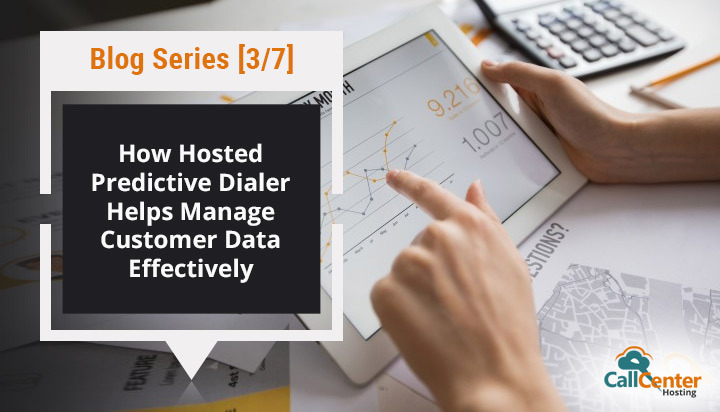 In the previous blog, we discussed the role of predictive dialer in helping the agents lead to improved individual efficiency and overall higher productivity of the call center environment. Predictive dialers work on various algorithms that use the available data very intelligently. Cloud-hosted predictive dialers more potential to the utility of customer data. With the help of predictive dialers, an exponential increase in the number of connections with the customers has been observed. The sole reason behind this significant change in the outbound dialing scenario is the optimized use of customer data that predictive dialers have introduced nowadays. Leveraging the potential of cloud with an already reliable technology, the scope of utilizing customer data smartly grows further. For the available customer data, its proper analysis using the predictive can help in understanding the customer behavior. Most available time durations of clients for different demographics and their average on-call time, etc. are some the easily identifiable patterns. As we know the predictive dialer is fed with the customer data, so the time-zones and demographics of the customers are taken care of individually. For a different set of customers, the calls are made at different times to enhances the possibility of better customer connections. The most important aspect of lead management is getting the cues out of the customer data in the best possible way. As the dialer is cloud-hosted and it comes with an integrated CRM. So, half the work is already done for the agents. Because with the information handy, it becomes a lot easier for the agents to deal with the customers in the most convincing manner. CRM integration makes the idea of lead management more prominent and easy. The dialer dials the contact numbers of the customers located in different time zones and even after multiple conversations with the same customer end up being more meaningful for both the parties because of the relevancy and precision of the calls. In every business communication, every customer looks for a great experience. Predictive dialers making an intelligent outreach to the customers ensure that whenever connected with a promising customer the dialer directs them to the available agent without any delay. Predictive dialers dial the customer contact numbers at the time when the customer is most likely to take the call. Understanding the individual customer need can only happen after the very first connection. According to a study done by Experian Marketing Services, 84% of the customers don’t like to do business with a company that fails to understand the individual customer need. And customer needs can only be understood well by speaking with them, this further needs more number of customer connections. The importance of predictive analytics has only grown with time because the data has only grown. So technical experts have sought for new ways and means to get the best out of the collected data with powerful insights. Predictive dialers just carry the intelligence of predictive analytics with them. There are various reasons that have helped the predictive analytics to grow in the call center environment as well. Detecting the useless numbers, predictive dialers, while making the outbound call detect the numbers that are useless such as fax numbers, fax lines, do-not-call numbers, answering machines. So, the efforts made behind making the outbound calls don’t go to waste. Predictive dialer hosting also help in making your campaigns optimized and they also help businesses attract, retain and grow the most profitable customer base. Apart from this, predictive dialers help in improving the operations by forecasting about the customer by analyzing about their demographics and time-zones. If customer data is there, the sales activities can be optimized with meaningful insights from the data analysis. When the dialer connects an agent to the customer, it is a sole responsibility of the agent to pitch the product or service in the best way possible. When the customer again connects to the same customer, he already has all the information with him. This helps the customer to connect and understand them better. All in all, the predictive dialer is an unavoidable tool for the call centers. Cloud hosting just multiplies the capabilities of the dialer. So, every bit of customer data is utilized to give the best sales results with utmost agent efficiency. In the coming post of this blog series – “Predictive Dialer on Cloud: The Key to Call Center Success“, we will be talking about how predictive dialer on cloud help you attract loyal customers and boost your business sales. Didn’t knew predictive dialers has the capability of managing customer data very meaningfully. Thanks a lot, Vipul for sharing your work on this topic. Waiting for the next blog series and the insights it holds regarding predictive dialers. Thank you so much for the appreciative words. Am glad my blog helped you in understanding the importance a predictive dialer holds for any brand. Looking forward to your presence in reading my work more. Optimizing sales with predictive dialers is one of the best key advantages it holds. Happier the customers would be, more would be the loyalty of them towards any brand. Rightly said Robert. Indeed predictive dialers also helping in building up a loyal customer base for any firm. Integration of CRM with predictive dialers helps in managing leads very efficiently. And also understanding the consumer behavior with the help of predictive dialer enhances the possibility of customer satisfaction. It’s true predictive dialer is an excellent call center tool in understanding your consumers and also managing your leads efficiently. 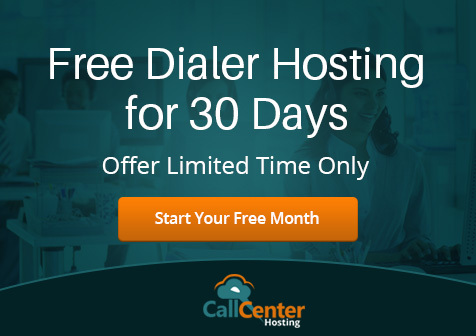 How Predictive Dialer on Cloud Improves Agent Efficiency and Productivity How Call Centers Boost Sales with Hosted Predictive Dialer?